Snag-Kyu Kim, born in Korea, received his B.S. degree from Korea Military Academy (KMA) in 1957. While serving as a lieutenant, he was selected as a candidate of a faculty member of KMA because of his outstanding academic achievements. He obtained Master of Engineering degree from both Seoul National University (1964) and AIT in the field of Geotechnical engineering (1970). His terminal degree, Doctor of Engineering, was obtained from Seoul National University in 1974. He started his academic career at KMA teaching Soil Mechanics and Foundation Engineering to cadets, conducting research and consulting works for the Korean Army and Government. 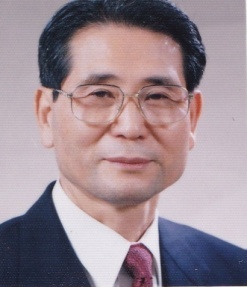 After retired from the Army as a full colonel in 1978 he was invited as a full professor in Civil Engineering Department of Dongguk University in Seoul where his career became much involved not only in academic aspect but in administrative roles, such as Dean of Academic Affairs, Dean of College of Engineering, at the University. He is the author of three different volumes related to soil mechanics and foundation engineering written in Korean and published many papers in journals and proceedings of the related field. In those years, he had opportunities for research in advanced countries. From 1983 to 1985 he spent 15 months at University of California at Berkeley as a visiting scholar, and again in 1992, he had another opportunity for research at the University of New South Wales, Sydney. 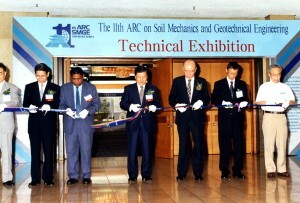 Prof. Sang-Kyu Kim was elected as the President of Korean Geotechnical Society (KGS) in 1988. While his five years of presidency, he showed a wonderful leadership leading KGS as one of the most successful organizations in Korea. He participated in the council meeting at ISSMFE of Rio de Janeiro as the first representative of KGS after joining the International Society. 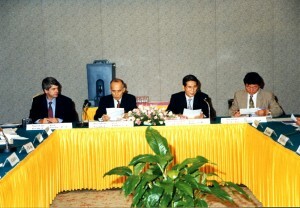 He served as vice-president of ISSMGE for Asia during the period of 1997-2001. 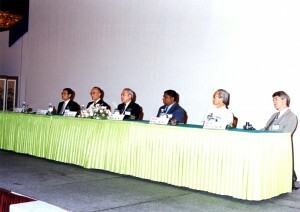 The 11th Asian Regional Conference was held in Seoul in 1999 during his term of vice-presidency. Presently he is a professor emeritus of Dongguk University.